Students in the Intro to Pukulan Kung Fu course focus on strength and conditioning followed by stance work and striking to pads. These are the foundations of self-defense. After completing their Intro, students continue their Kuntao training which refines and builds upon this foundation. 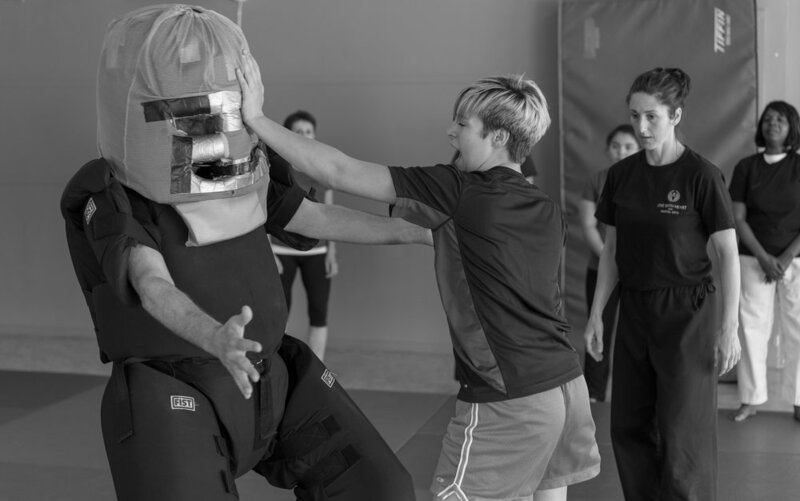 Students train applied self-defense moves practiced in many different scenarios. 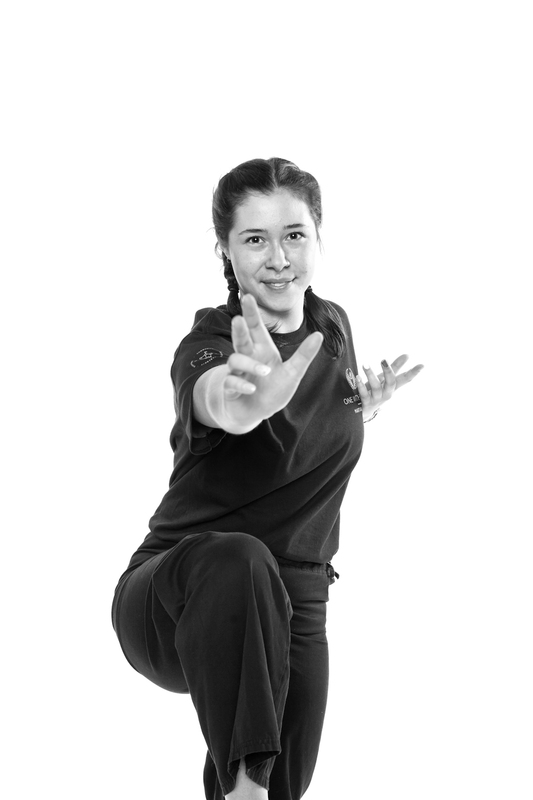 Intermediate students move into the Pukulan system of Silat. In this phase of training, students practice forms to instill a library of movement with applications. We also introduce the animal styles of monkey, tiger, crane, and snake, each having its own characteristic movement and attitude. 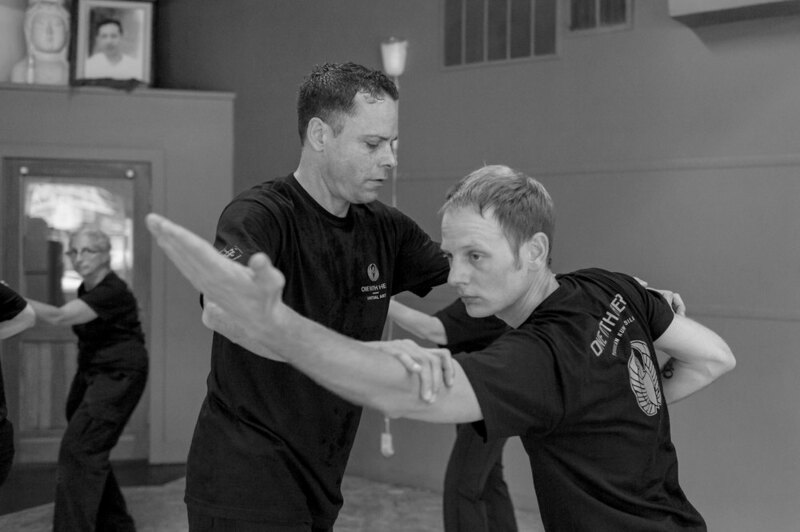 In more advanced training, the practitioners integrate the physical and mental techniques in free flow fighting. 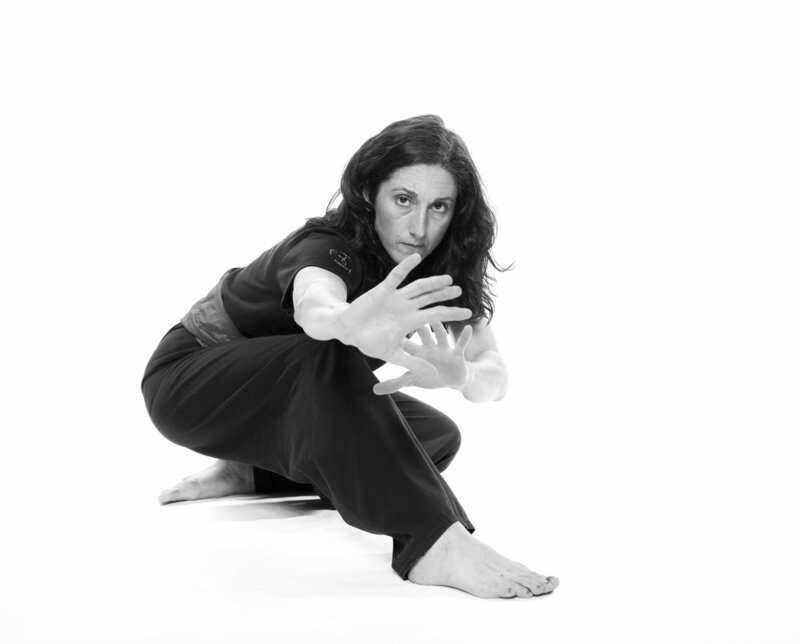 Janesa Kruse is martial artist and teacher known for her passion, talent and strength. For 30 years she has remained active in training, fighting and teaching. Janesa began her martial arts training at age 21. In 1980-81 she was rated among the top 10 Women Fighters in national point fighting by Karate Kung Fu Illustrated. Shaolin Kung Fu came from the martial art form developed by monks of the Shaolin Buddhist Temple in the Hunan province of Northern China. The geography of the North influenced the “long fist styles” with their fully extended striking, long deep stances and dynamic kicking techniques. The first hour of training combines conditioning, stance training, and independent practice. The class is geared towards intermediate and advanced level Northern Shaolin Chinese Martial Arts forms. The foundational training these forms provide builds strength, flexibility, and coordination. Intermediate forms refine techniques and provide further diversity of movement. The internal training focuses on developing energy circulation throughout the body, strengthening the internal organs, developing sensitivity, and concentrating power for martial application. Students learn at their own pace based on ability and inclination. One with Heart's Northern Shaolin program is open to intermediate and advanced martial arts students. If you are new to One with Heart and have experience training in another martial arts contact us about joining the Shaolin Kung Fu program. The optional second hour of class provides students an opportunity to further their basics and deepen their practice. Class format is a combination of beginning, intermediate, and advanced forms, independent practice, partner drills, fighting application, and sparring. David Tircuit brings a lifetime of experience in Chinese healing and fighting arts to One with Heart. With over 25 years of training in Tai Chi, Xing Yi Quan, Qi Gong, and Northern Shaolin Kung Fu, David challenges and inspires new and advanced students alike. Take a peek at our Shaolin Kung Fu class offered at One With Heart. 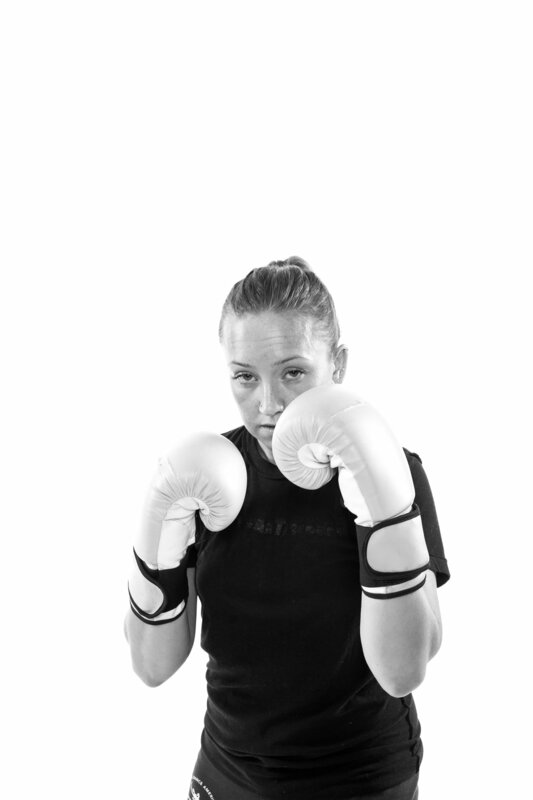 Women's Self Defense classes are condensed into a 4-hour class where women learn the basics of self-defense. Connect to your strength and have it reflected in everything you do. Learn to trust your awareness, assess situations rapidly, and act on your own behalf. Role-plays and pad drills give you the opportunity to strike with full power, speed, and commitment. In just 4 hours you will have the confidence and practical skills to create effective boundaries and respond immediately to real life situations. With guidance from certified instructors, you will learn to recognize and respond to threatening behavior with strong, assertive body language and verbal self-defense skills. This positive and supportive self-defense workshop is designed for women and girls in high school and older. 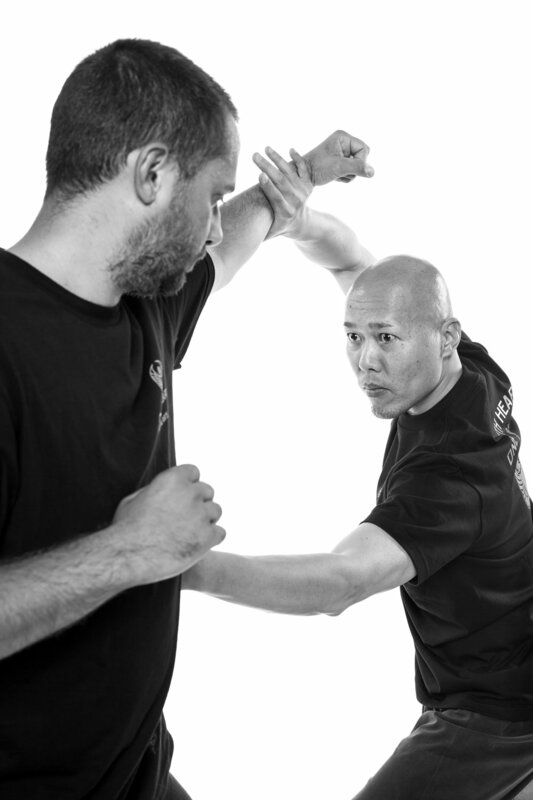 Muay Thai Kickboxing curriculum was developed by master teacher Mike Morton. This dynamic class will get you in shape fast while you learn to use footwork and throw combinations of punches and kicks. Based on Thai kickboxing this style is a great workout on its own or as a perfect addition to any workout routine. Both beginners and experienced martial artists are welcome to enjoy the benefits. All striking is to pads or heavy bags. Lightweight athletic shoes and boxing gloves are required for Muay Thai Kickboxing. Bring your own boxing gloves or you may purchase them at One With Heart. *This class is also included in your Intro to Pukulan Kung Fu class. Keeley Love is originally from Columbia Falls, MT. She found her way to Portland after living in several other cities during her lifelong career as a professional ballerina and ballet instructor. Note: Teens train in our adult Pukulan classes. Intermediate students move into the Pukulan system of Silat. In this phase of training, students practice forms to instill a library of movement with applications. We also introduce the animal styles of monkey, tiger, crane, and snake- each having it's own characteristic movement and attitude. 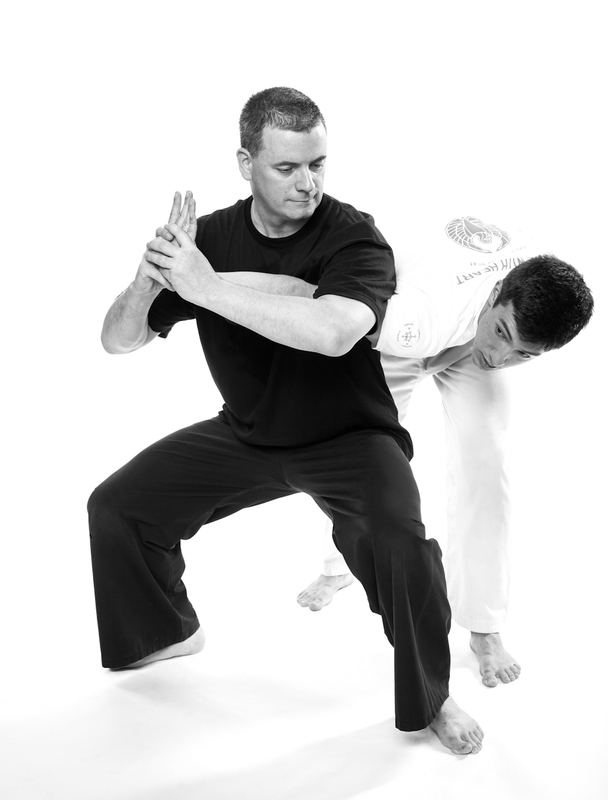 In more advanced training, the practitioners integrate the physical and mental techniques in free flow fighting. This series covers the basics of Escrima Libre’s dynamic footwork, single stick ‘box blocks’ and combination striking as well as double stick sinawalis and striking patterns. On a sunny Portland day, you might find Kyle under a tree playing a banjo. Then again, you might find him at One with Heart, training or teaching. Two testimonials from martial artists that take the Escrima class at One With Heart. Marian began her Pukulan training in the Netherlands and in the 1980s she started a Pukulan school in Amsterdam. In 1992 she moved to Portland where she continues to help Janesa run One with Heart. In Hati Hati, we work with the body’s natural energy to restore balance. Just like we use ilmu in fighting, we use the same ilmu for healing. We believe there is an energy field around the body. Injuries, trauma, and even things people have said to you, can attach to your energy field and impact your health and well-being. In an energy healing session, anything that no longer serves your highest good is removed. Hati Hati healing can help with healing injuries and chronic conditions, habit conversion, resolving emotional challenges, healing from trauma, and releasing stress.